Each 23andMe account is associated with an email address. You must confirm your ownership of the email address used to create your account and your ability to receive messages at that address. You are required to confirm your email address during the creation of a new account, or if you had not previously confirmed your address on an existing account. You will also need to confirm your email address anytime you update your account email. An email titled "Finish Creating Your Account" will be sent to your email address. Account-related emails are addressed from donotreply@23andme.com. Follow the prompt in the email to confirm your email address and activate your account. Email confirmation is also required if you change the email address associated with your account. You can change your email address from the Settings menu. 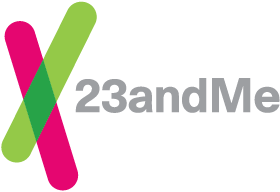 After entering your new email address and password, you will receive a confirmation email titled "Your 23andMe Email Address Has Been Changed" at your updated email address. This email includes links to a confirmation page where you can enter your account email, password, and the provided confirmation code.